The whole album is a superb and fitting end to the musical legacy left by one of Rock's true legends. As a fan of Status Quo, I was saddened to hear that due to health reasons Rick Parfitt would no longer be touring with the band he had spent several decades in. Instead, I consoled myself with the fact that he would finally release a solo album. 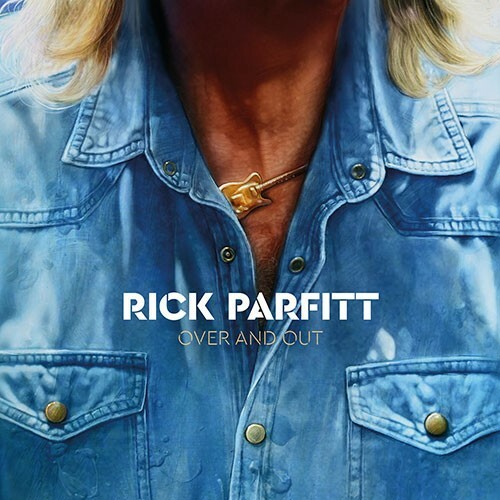 He made one called 'Recorded Delivery' back in the eighties that was never released (although some tracks were turned into Quo B-sides), so when the news came that Parfitt had died on Christmas Eve in 2016, I was gutted that it would never be a reality. As it turns out, Parfitt had thrown himself into making his own record and had all but finished it prior to his passing away. 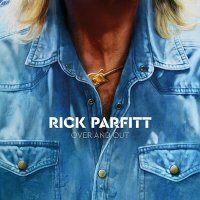 'Over And Out' is the result which sees some of Parfitt's close friends add those finishing touches needed in order for the album to be released. Opener 'Twinkletoes' is what you'd expect from the man who eschewed the image of "Rick The Rocker" and it's bolstered by some distinctive guitar work from Brian May. However, he's not the only notable guest as Parfitt's son Rick Jnr, Muse's Chris Wolstenholme and old Quo bandmates Alan Lancaster and John Coghlan all helped out with the creative process that was overseen by producer Jo Webb. However, none of that would mean anything if the man himself didn't deliver and he does in spades. 'When I Was Falling In Love' shows how adept Parfitt was at singing comfortably in a different style, but there's plenty of Classic Rock moments thanks to 'Fight For Every Heartbeat', 'Lock Myself Away' and the hook-laden 'Long Distance Love'. The album closes with the other track from 'Recorded Delivery', 'Halloween', which was also released by Quo, but this version is far superior to my ears. It's a nice way to bring things full circle. The whole album is a superb and fitting end to the musical legacy left by one of Rock's true legends.